The world’s most popular sport, the game of soccer, is widely considered to have been a British invention, mostly because the rules that established the game were written in England in the 1800s, yet in fact the game has been played in various styles throughout civilized history. The ancient Japanese are known to have played a game similar to soccer, but perhaps also akin to American style football as far back as 1000BC. Not much is known about this game other than the ball was quite large and round, and kicked between two teams within a small field. A later game known as cuju developed in China with a leather ball filled with hair or feathers and was a kicking game of two teams who were required to get the ball through a small hoop rather than a set of goal posts. Cuju is believed to have been played almost continuously for close to 2,000 years, dying out in the 1600s. The Chinese version of the game became popular in Japan and Korea with some differences, and many historians believe renaissance period versions of soccer may have been influenced by Asian games, since at the time trade with the far east had begun. 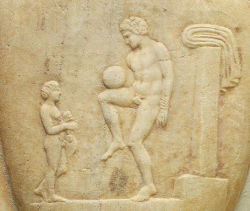 Opponents of this version of the history of soccer point out that the ancient Greeks and then the Romans also played a form of football which could more accurately be described as a cross between soccer and rugby, but with a great deal more brutality involved. Air filled balls have been known in Europe since at least 100BC and probably before then since they were the type of ball used in the Roman game of follis, which by all accounts was more similar to modern rugby than to soccer. During the middle ages in Europe, a form of soccer was developed that in England was banned several times for being dangerous and a public nuisance, and was closely related to the Roman game of harpastum. Known as mob football the game was characterized by having no set rules and violence against other players was acceptable, although taken in good spirit by all accounts. Soccer hooliganism, something that is dealt with globally in today’s game, was also felt back in the 1300s and 1600s in England and the game of football was banned several times due to the noise and unruly behavior of players. Drunk players would rampage through towns and villages picking fights and breaking windows. 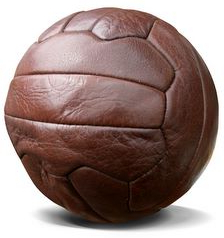 In Australia some indigenous tribes played a game of football that involved the lead player kicking a ball into the air for other team members to catch and whilst this isn’t directly related to modern soccer it can be seen that football games are not a Chinese or Greco-Roman invention, probably ball sports and games have been invented by almost every society. 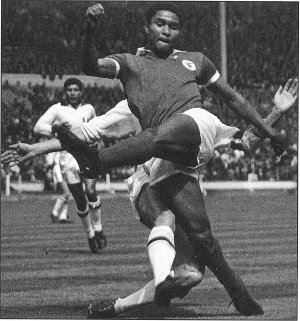 Modern soccer has it’s history firmly in England with the codification of Association Football, actually the name soccer is derived from the word association. In 1848 the Cambridge rules were written that allowed some of England’s most famous schools to hold competitions under a common set of rules. These rules were partly used by the Football Association in 1863. The codification of soccer took an interesting twist shortly afterwards, many clubs had been using their own rules and had allowed players to pick up and throw the ball, but after 1863 the rules of soccer made the sport a kicking game and in 1871 the clubs that hadn’t joined the association formed the Rugby Football Union. American and Canadian football is derived from the rules of rugby. As professional soccer has developed leagues were formed to provide a competitive playing environment which also had the advantage of turning soccer into a spectator sport. The history of soccer as a spectator game is where most of the growth in club numbers and global players has come from. Major soccer leagues such as those found in the UK, Germany, Italy, Brazil and other countries encouraged the formation of clubs and international squads in almost every country around the world. So popular is soccer now that the World Cup competition is regularly watched live on TV by hundreds of millions of people. From 1900 soccer has been a represented sport at the Summer Olympic games, with teams from all around the globe competing for the title of world champion. The games of 1900 saw the England champions ‘Upton Park FC’ beat a team from France to be crowned world champions. These days world soccer championships are played by national squads rather than the best team within a nation’s league, and over the last fifty years the FIFA World Cup has come to dominate as international soccer championship unrivaled even by the larger Olympic Games. FIFA World Cup games often achieve record crowds and in recent history have achieved television viewing numbers in the billions over the duration of the competition. National squads that have won the FIFA World Cup include Brazil, Italy, Germany, Uruguay, England, Argentina, and France. In 2000 the very first FIFA Club World Cup was held, an event which is gaining popularity and helping promote soccer as the most played and watched sport on the planet. Qualifying club teams compete for the chance to play the finals against another world club team. The first FIFA Club World Cup was won by Corinthians of Brazil who beat Vasco de Gama, also of Brazil. After a rocky start to the competition because of funding concerns it is now scheduled to become an annual event, perhaps even rivaling the major regional competitions for viewing numbers. have something to add to the discussion. It is caused by the fire communicated in the post I browsed. And on this post History of Soccer | History of Things. dead individuals? 😛 And, if you are writing on additional online sites, I’d like to follow you. If you think you can park a car effortlessly, try the game. in learning the tips and tricks others have listed online, and then practice what you have learned.